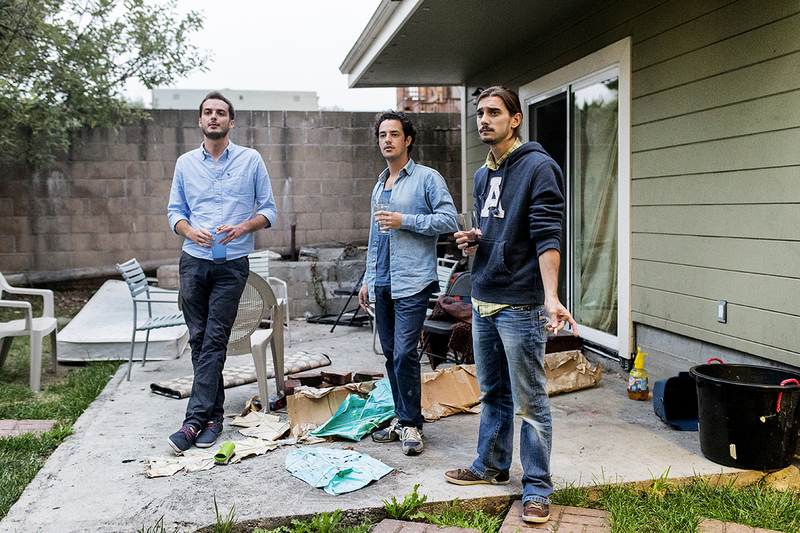 Adrien Thibodaux, Lyrod Levy and Adrien Chometon (left to right), all co-founders of Weeleo, take a smoke break in the backyard of a fraternity house where Levy and another co-founder were sleeping that evening in Berkeley, Calif., on Monday, August 18, 2014. The four co-founders of the company were in San Francisco from France for the summer to participate in an accelerator program. To save money Levy and their fourth co-founder couch surfed for the summer instead of renting an apartment.